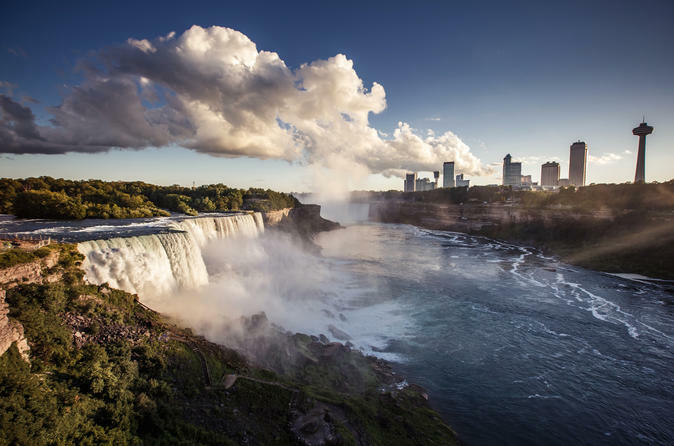 Head north from New York City in a climate-controlled coach on this exciting 3-day tour to experience the best of the Niagara Falls region in both New York and Canada. Along with exploring the majestic Niagara Falls, you’ll visit the 1000 Islands, Lake Ontario, the Finger Lakes and the city of Toronto! At Niagara Falls, you’ll tour the American side at night and ride the famous ‘Maid of the Mist’ boat the next day. You’ll then see Toronto’s top attractions, take a cruise on the St Lawrence River and more. Accommodation at an Wyndham Super 8 or similar included for two nights. Please see the Itinerary section below for more details on each day of the tour.